Can Nuclear Plants Work for 80 Years? In the U.S. they were licensed for 40 years, but advocates think they could last far longer. The nuclear industry recommends that reactors work well beyond retirement age. While nuclear plants in the U.S. get licensed to operate for 40 years, the lifetime will likely be extended in many cases to 60 years. Nuclear plants could even roll on for 80 years if safety and reliability benchmarks can be achieved, said executives and researchers on a conference call sponsored by the Electric Power Research Institute (EPRI) today. "We will need to extend the life of old plants," said Maria Korsnick, chief nuclear officer of Constellation Energy's nuclear group. The problem boils down to economics and circumstances. Nuclear plants require tremendous amounts of time and capital: a nuclear plant typically might generate one to two gigawatts of power and the "overnight cost" or construction cost minus interest might range from $4,000 to $10,000 a kilowatt depending on the estimates. As the price rises, nuclear becomes less competitive with wind and solar, not to mention natural gas. Because of the recession, many utilities have cancelled plans for new plants or pushed them out into the future. Constellation, in fact, just bowed out of a project because the fees associated with a federal loan guarantee; the 1.6-gigawatt plant had been budgeted at around $6,000 a kilowatt. Unfortunately, most of the nuclear facilities in the U.S. already hover around the 40-year mark in terms of age. Over half are already asking for licenses that will let them operate for 60 years and the other half are expected to seek similar requests. The U.S. has 104 commercial nuclear power plants that provide about 20 percent of the country's power. "If you let these current operating units retire, you will end up with a gap. Why put ourselves in that crisis?" she said. Nuclear plants provide 70 percent of the carbon-free electricity in the U.S. and operate 90 percent of the time, she added. 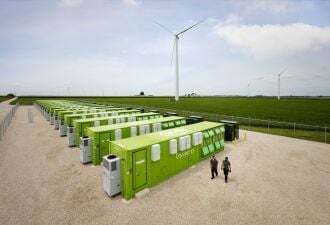 Local storage facilities for these plants will also need to be extended or the industry will have to move toward centralized interim storage facilities. Japan and France, which re-license plants every ten years after a safety inspection, are also looking at extending the life of their plants, said Ronaldo Szliard, director of nuclear science and engineering at Idaho National Laboratory. 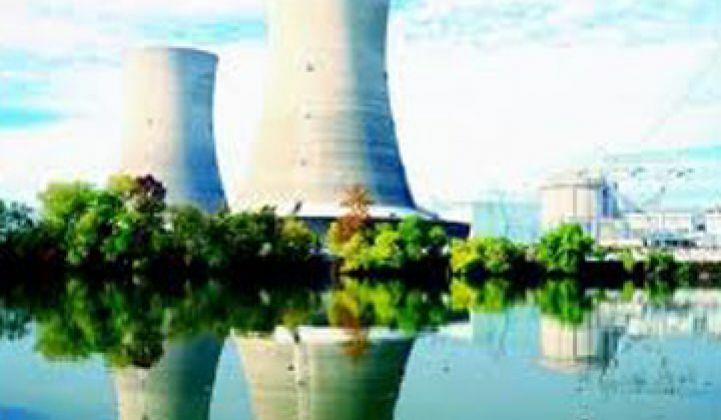 If the age of reactors can be extended, it could be a financial boon, added Neil Wilmshurst, chief nuclear officer at EPRI. Existing nuclear plants in the U.S. are paid for already. Thus, there is no financing cost. Nuclear plants are also more of a known commodity than carbon capture facilities. What are the problems? That needs to be figured out. Further studies are needed to test to longevity and durability of cement exposed to radiation. "We don't believe there is a problem but we need to understand what the aging process entails," said Szliard. Wilmshurst added that the industry also needs to upgrade its procedures. Many nuclear plants, for instance, use digital control systems like virtually everything else in the working world. Part of the problem has to do with making sure the existing safety systems will continue to function properly if underlying controls are shifted.